With the TARDIS missing, the Doctor, Ian and Vicki are captured by the Zarbi, huge ant-like creatures controlled by the parasitic alien Animus. Meanwhile, Barbara runs into a group of Menoptra, butterfly-like creatures that have been driven from their home planet by the Animus, but who now plan to return with an invasion force. But the Zarbi know their plans and are waiting for the Menoptra, accompanied by their lethal larvae guns. Will the Menoptra succeed against the mind-controlling Animus? 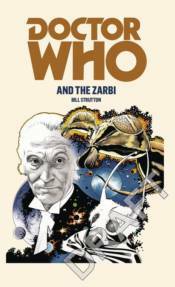 This novel is based on a Doctor Who story which was originally broadcast from 13 February-20 March 1965. This title features the first Doctor as played by William Hartnell with his companions Barbara, Ian, and Vicki.